The lustre of the free-flow booze and semi-buffet that's served with a main course Sunday brunch can start to grow less shiny and alluring after you’ve lived in Hong Kong for a while. AYCE boiled shrimp / raw bar, quiche lorraine, and made-to-order omelette bars simply don’t feel as special the twentieth time around, even with those little restaurant-specific twists. 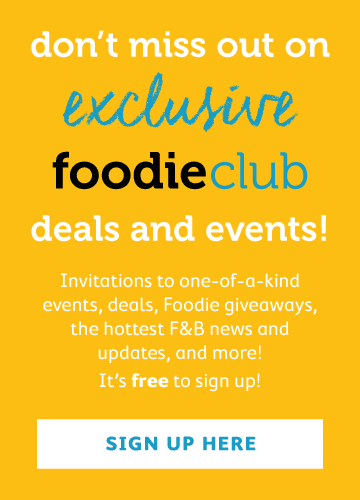 And for some of us, good value for our money starts to become a problem as brunch doesn’t seem to ever cost us less than $500 per person with that oh-so-delightful 10% service charge. There’s a small beach on Lamma Island called Mo Tat Wan, which is serviced only by a small ferry ($19) originating at the Aberdeen Ferry Pier. This little cove is home to about 40 homes, and a small beachside bistro called, The Bay. With its terrace looking across the channel into Ap Lei Chau, The Bay is the watering hole and only commercial business for the 100 or so locals who live here on this side of Lamma Island. It's by no means fancy, and as you may be able to tell from the picture above, it feels like the last time they renovated the facility was in the early 1990's. So if you're in the mood for white tablecloths, you might be better off brunching at Jumbo. We feel what’s truly special about this gem is their Sunday roast offering. The leg of lamb ($680 and feeds about six people) must be booked in advance, and on the day of, is roasted for six hours over lava rocks just for you and your friends. Our party leisurely arrives to Mo Tat Wan around 1 pm, and because a few of our hungover friends have missed the 12:30pm ferry, we first crack open a few bottles of bubbly we brought from home ($80 corkage), order a couple of baskets of buttery garlic bread, and enjoy the breezy, lazy Sunday afternoon. 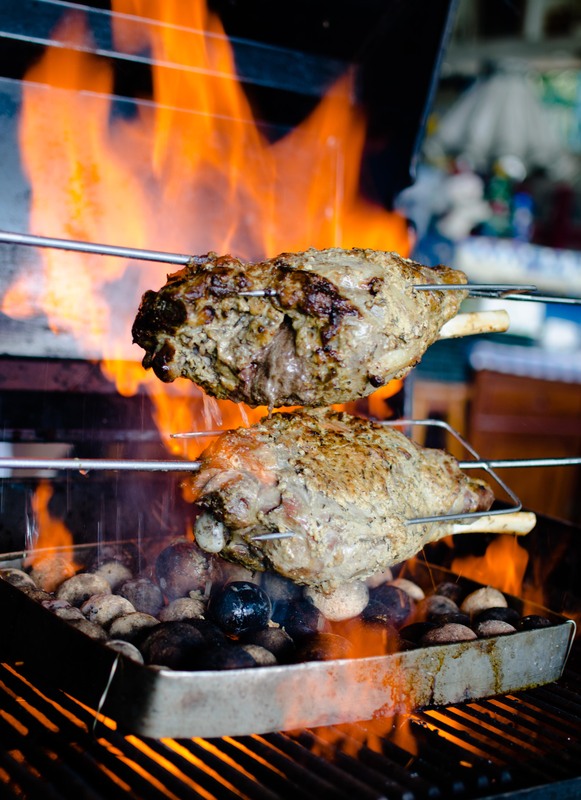 Once the last group arrives on the next ferry an hour later, the lamb roasts are rolled out on a covered grill, and are served en flambé thanks to a dousing of white rum to finish off the six-hour roasting process. 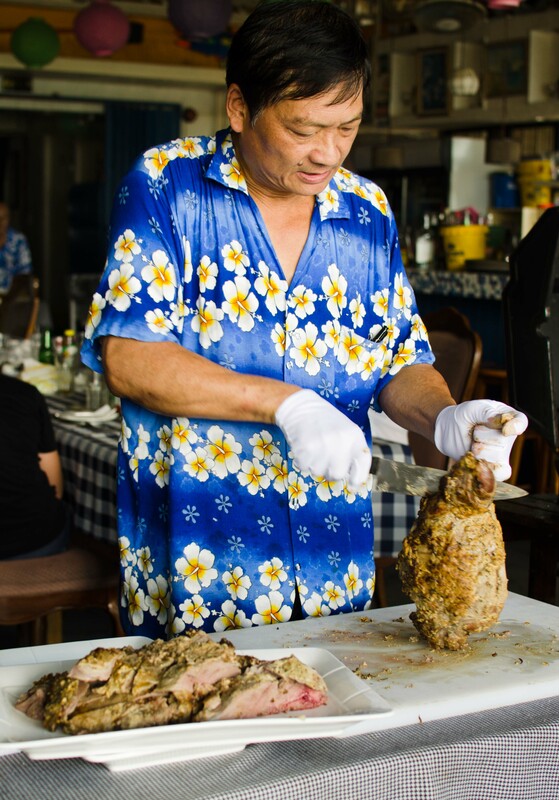 The roasts are carved tableside by the owner (and also self-proclaimed mayor of Mo Tat Wan), and it's finally time to eat. The lamb is served with rosti, roasted pumpkin, boiled peas, and a brown gravy. Some of the lamb is cooked medium-rare and a few parts are a bit over done. Again, it's not fancy, but it certainly is tasty, and fills our stomachs. It's also dog-friendly, so for those of you with furry friends, they're welcome too. Here's a shameless cute dog photo. While we can’t say it’s the best Sunday brunch we’ve ever tried from a gastronomic perspective, if we’re being honest, isn’t brunch really about debriefing the previous night with your mates over a few glasses of bubbly, a Bloody Mary, and a plate of meat and potatoes? Wouldn’t it be even better if you were sitting on a breezy terrace overlooking the beach? And even better if it only cost you less than $250 per person and was BYO wine? Did we mention that there was garlic bread? On second thought, maybe you shouldn’t check this place out. We couldn’t imagine not being able to get our favourite table. Traveling the world, savouring one bite at a time.